There are many good articles from respected sources that will tell you only those with Celiac Disease should eliminate gluten from their diets. What if I told you that 99% of those with gluten sensitivity are undiagnosed? Do you have digestive issues or IBS? Fatigue? Brain fog? Migraines? 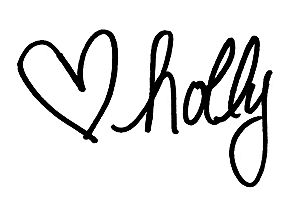 Hormonal and mood changes? This gluten-free “fad” might be worth looking into. Here are the facts you need to know. I’m going to walk you through the 101 class here. If you try to research this on your own, you will find a lot of complicated terms like lectins, molecular mimicry, lymphocytes, pathogenic antigens, and phytates. Do not worry, I’m keeping it simple. In the 1950’s and 1960’s, wheat began to be milled and manufactured differently, along with growing new strains of wheat. Wheat is a type of grain. Gluten is a protein found in wheat. All wheat contains gluten, but gluten can also be found in grains other than wheat. Wheat also contains lectins, which are a type of protein found in plants. Ok so we know that wheat contains gluten and lectins. Let’s focus on what gluten and lectins do to you. Lectins, Molecular Mimicry – WHAT? Grains and legumes have the most amount of lectins of all plants. Consumed in large quantities, these lectins can be difficult to digest and even toxic to humans. For those adversely affected, lectins bore holes in your small intestine aka your gut. Your gut cells are damaged, and small leaks are formed. We call this leaky gut. How important is your small intestine? Your gut is where digestion happens, your body’s natural immunity to diseases happens, and where your food’s nutrition is absorbed. These leaks allow food, gluten and bacteria to leak into your immune system and blood stream. Your immune system now tags the gluten that has leaked out as an invader and send out antibodies to destroy it. This is where molecular mimicry comes in. The protein structure of your thyroid is very similar to the protein structure in gluten. So now we have lectins drilling holes in your intestines, gluten leaking into your immune system, and your body attacking it because it sees it as an invader. For those with autoimmune conditions, your body also attacks the thyroid because it can’t tell the difference between the gluten protein and the thyroid protein. When the body attacks itself, this is what is called autoimmune disease. I have Hashimoto’s Thyroiditis, which is one of more than 150 autoimmune diseases. Other AI diseases you may be familiar with are Celiac, Lupus, MS, Diabetes, Graves, Rheumatoid Arthritis, and Addison’s. It’s bad enough that your body can’t tell the difference. But the immune response to gluten in your body can last up to 6 months. This is why being gluten free with Hashi’s and most autoimmune conditions is so important if you want to heal. And when I say gluten-free, I mean 100% gluten-free. “One bite of Aunt Betty’s birthday cake won’t kill you.” Maybe not immediately, but one bite will stay in your system and allow for your body to fight against itself. Now that we have that straightened out. There’s more. Phytates are anti-nutrient compounds found in wheat that bind to nutrients in your body, and they block the absorption of nutrients. The whole wheat sandwich you just ate? Or the salad that went with it? A lot of these nutrients just got blocked. Are you always hungry and wonder why you can’t lose weight? Do you eat healthy and not notice any difference in how you feel or look? Anyone? 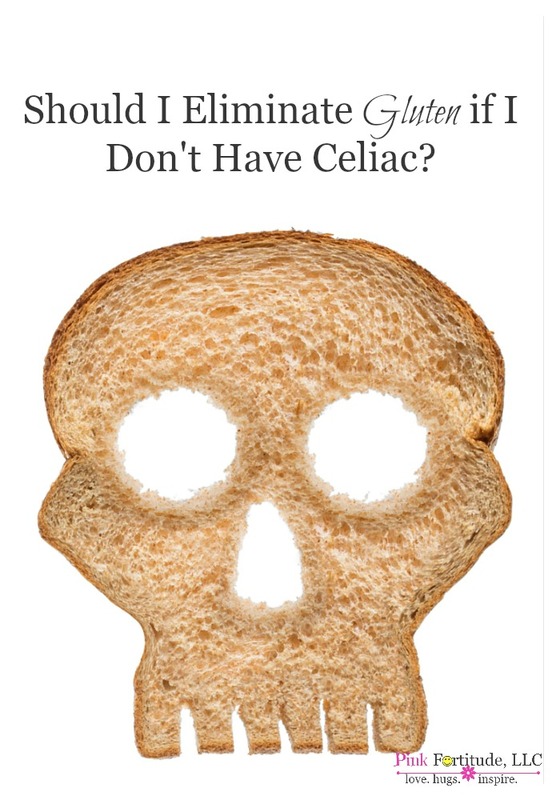 So Should I Eliminate Gluten? There are so many studies and (very strong) opinions on this topic, but no definitive answer. My advice to you is to not take what you read at face value and actually take the time to research what interests you about gluten and its effect on the body. Gluten’s effect on your body is on a spectrum, anywhere from no issues at all, to being sensitive or intolerant to gluten, to having Celiac Disease. Yes, some people are totally fine. And yes, some people become sick. Curious? There’s no harm in giving up gluten for a couple of months and keeping a food journal of what you eat and how you feel. Talk to your doctor. If you don’t find the answers you want, talk to another doctor. But promise me you won’t give up in your quest to find answers. I gave up gluten “cold turkey” and don’t miss it or regret it. We are all different. The way that gluten (and food in general) affects us is an individual experience. Love, hugs, and poking some holes in all of the theories. Checking it out. Sometimes I wonder about revamping our diet. I’ve been off of gluten for over a year – along with eating more fruits and veggies – my entire’ family’s health has improved. Check out the Medical Medium – http://www.medicalmedium.com. He gives life-changing health information, and of course, talks about the importance of taking out gluten. He also explains that the body doesn’t attack itself – your body won’t go against you. It works for you. I have really cut back on gluten over the past year and have noticed that I my intestines are much happier. Great blog post! I’m a Celiac but I also have a condition called Endometriosis. My entire adulthood consisted of me thinking I had food poisoning whenever we ate out; despite others eating the same thing that I did and did so without getting sick. Imagine that conundrum! When I first became unable to eat anything at all without being severely ill I was told by my specialist I was gluten intolerant. Women who have Endometriosis often become gluten and dairy intolerant. It’s a mystery as to why that happens but the fact is our bodies have a much lower immune defense than most people, just as anyone who has Lupus, MS, and rheumatoid arthritis to name just a few chronic issues. You have done well explaining the gluten issues here and done so in a way that is inclusive of so many people who suffer from intolerances ( which means violent illness for many). I will pin this in my Celiac Friendly Recipe board and share it on FB. Truly, thank you for being supportive of the community of people who are gluten intolerant.